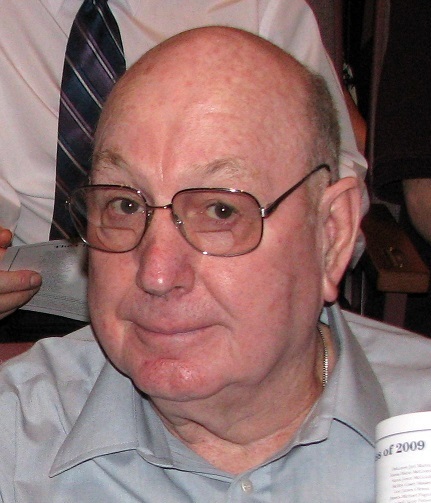 Church services for Herbert M. Brimble, 90, will be held at 2 p.m. Tuesday, April 2, at Sacred Heart Catholic Church in Tekoa, WA. Kramer Funeral Home in Tekoa is in charge of the arrangements. A reception will follow. Mr. Brimble, who was born near the town of Henderson in Rusk County, Texas, died March 21. Mr. Brimble was a veteran who served in World War II and in Korea in both the Navy and the Army. He received Training for Electrical Work & Aviation and Advanced Training in Aviation through the Navy. In his civilian life, he received additional training at the University of Houston Technical School of Mechanics in mechanical engineering. Throughout the course of his working life, Mr. Brimble made good use of his skills by working for such companies as General Motors, Clark Equipment, Cooper Bessemer, and Pyramid Derrick. It was important for him to put food on the table and send his children to college. Herbert Brimble married Edwina Phillips in 1955 and forever described her as "the love of his life." They loved to travel. After she passed away in 1998, he never remarried. Herbert Brimble engaged in politics throughout his adult life, indicating that we should all think of our country first. He loved to engage in conversations with interesting people. Survivors include: a son, James Brimble of Central Point, OR; a daughter, Lynette Brimble of Houston, TX; and a grandson, Michael Brimble, a Returned Peace Corps Volunteer (Sierra Leone & Malawi). On line condolences may be left at www.kramercares.com.